CO2 Scorecard is a performance monitoring and reporting web tool for tracking progress towards climate friendly economic growth. It provides policy and business intelligence that countries, corporations and cities need to: (1) evaluate their long term vision and strategy, (2) monitor and benchmark CO2 emissions, energy use and green investments, and (3) support reporting and communications to various stakeholders. Our Approach: We apply commercial-grade interactive data analysis and visualization tools, to bring information from various sources to a single web platform and make it accessible and transparent to a broader, less technical audience. 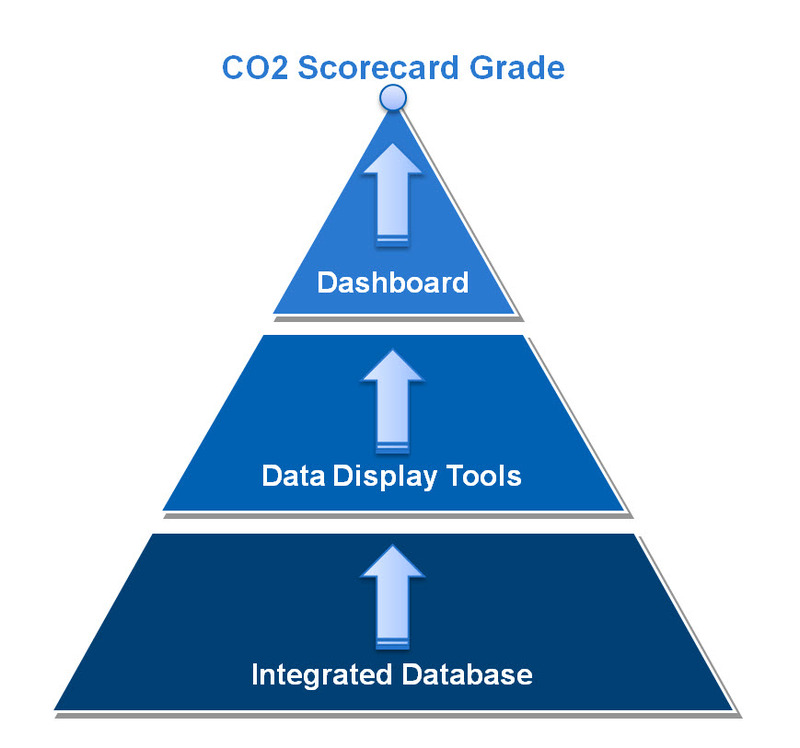 CO2 Scorecard’s data display approach has a hierarchical structure, and it provides the big picture of performance through a 3-letter grade. At the same time CO2 Scorecard enables users to review the back-end data, statistical summaries, metrics and benchmarks. Users can also dig deeper into a specific indicator and review the time series data from various sources, assess the quality of national CO2 emissions reduction targets, compare countries, and view key correlations between indicators of CO2 emissions, energy use, economic growth and the quality of life. 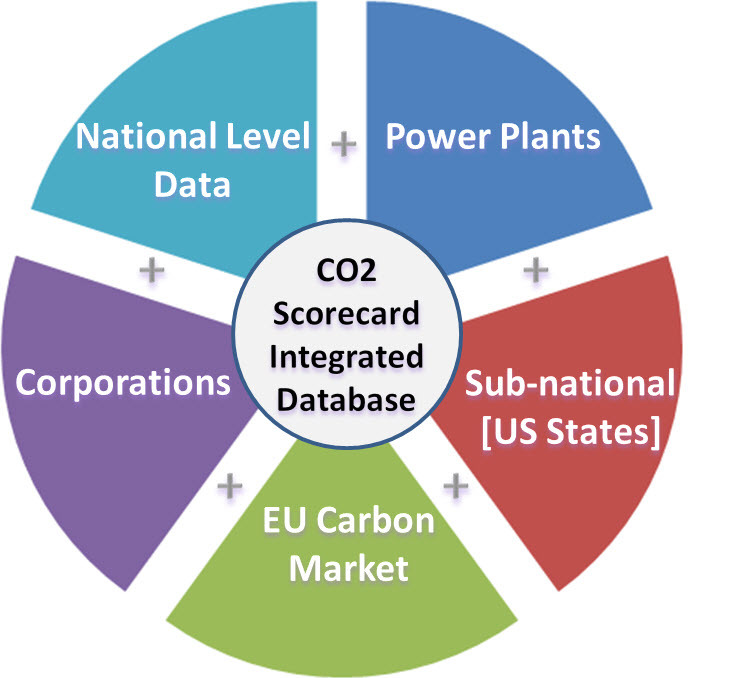 Coming Soon: CO2 Scorecard’s suite of products will expand to incorporate the data on major power generation facilities as well as the carbon footprint and energy use data of each state of the US. Data on industrial sectors, corporations and cities will be added in forthcoming site updates.